Our life revolves around the breaths that we draw and with each breath we live a little more. For some of us one breath with the wrong allergen might leave us wheezing and gasping, and we know that we are in trouble as an asthma attack hit us. Asthma as we know it is a chronic illness which involves our airways in our lungs. The air travels in and out of our lungs through these airways or bronchial tubes. A person who has asthma will have inflamed airways which might swell up and the muscles around the airways tighten around one’s airways triggering an arrack. Once this happens, it is difficult for air to move in making one cough, wheeze and feel tightness in the chest and even feel short of breath. 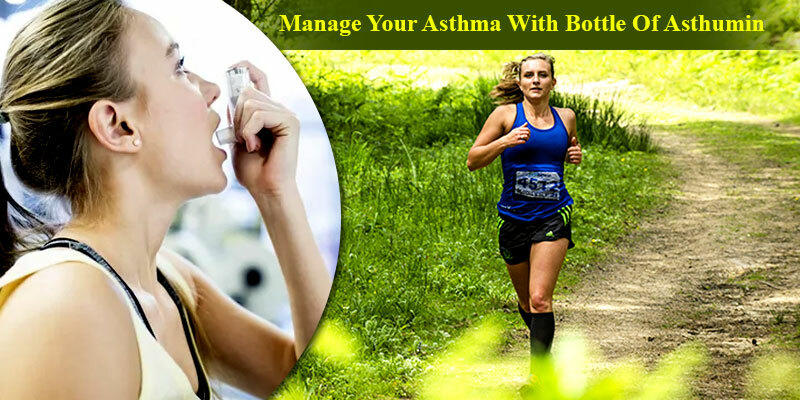 An allergist or immunologist is the best physician to help you with asthma. Not everyone has the same signs each person’s asthma is different hence the symptoms would also vary. The symptoms or flare-ups are usually brought on by allergies or due to exposure to allergens. You must consult your doctor if any of these symptoms persist and your doctor might ask for your family history, conduct a breathing exam. Asthumin which is 100% organic has been curated carefully under the highest standards to ensure that you get the best. That is not all being rich in Curcumin the best anti-inflammatory it attacks the cause of inflation in the airways which the leading cause of most lung problems. Curcumin attacks the cause of inflammation and also unclogs the airways thus regularising the oxygen flow in the body. This helps obviate the symptoms of asthma. The phytochemical curcumin has therapeutic properties with a variable range of protective power to help in various lung problems. The potent anti-inflammatory action of curcumin alleviates the symptoms of asthma preventing the situation from deteriorating and also prevents the movement of the immune cells to the inflamed site. 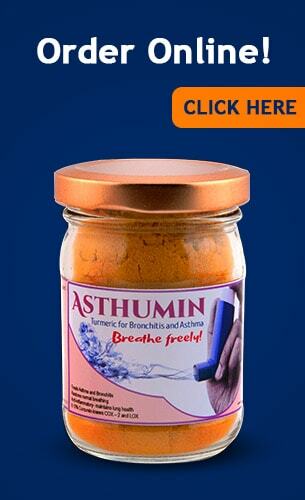 Curcumin strengthens the immune system thus improving the lung health making our body functions better and stronger. The anti-spasmodic property of curcumin reduces muscle spasms and which provides relief from oxidative stress which helps relieve the symptoms of asthma. Curcumin scavenges nitric oxide that is one of the causes of inflammation and oxidative damage in case of asthma.